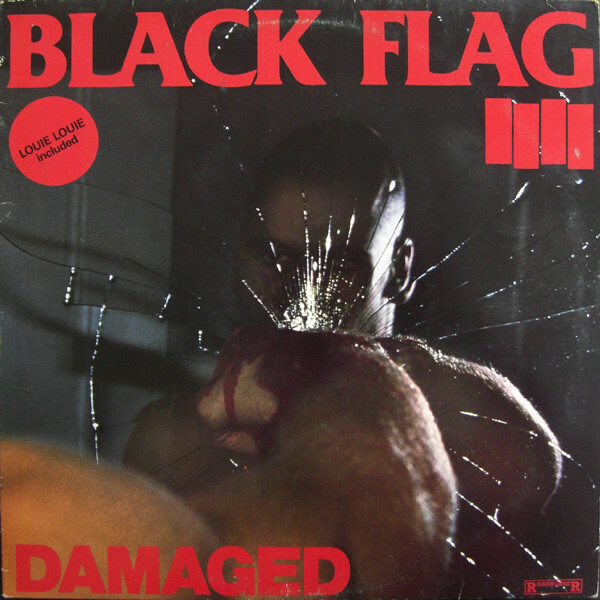 Consisting of mostly undigested lumps of bile spat out with a caustic vehemence, the word 'uncompromising'" might well have been designed with LA punk combo, Black Flag, in mind. There's an almost autistic single-mindedness about this album's monochromatic howl. Consisting of short–sharp-shock songs taken at a frenzied pace, the stripped-back garage sound is topped by the splenetic baying of vocalist Henry Rollins. Formed in 1977 and guided by guitarist Gregg Ginn, the band was the embodiment of dysfunctional, disaffected white America, borrowing from the UK's punk movement but adding more than enough attitude to derail an oncoming train. It wasn't until fan of the band, Rollins, joined the group – after jumping on stage during a gig – that they found their stride and recorded their guttural debut. Essentially an album of electric protest songs, if asked what it was they were getting hot under the collar about, then you'd have to say just about everything! The likeably buffoonish "TV Party" and "Six Pack" are acute digs at slackers everywhere, whilst "Gimme, Gimme, Gimme" takes a swing at the insularities and shortcomings of the 'me' generation. Mostly though, their invective nails self-doubt, alienation and the self-inflicted martyrdom of being square pegs tired of being battered into a round of hole of conformity. The one variation in their acidic drench of sound is "Life of Pain", opening with an angular motif revealing that Ginn had more than a passing knowledge of Robert Fripp's 1979 solo album, Exposure. Despite coming a few years after the white heat of the punk revolution had cooled off somewhat, the album caused waves when released in 1981 for the extremes of its furious nihilism. Further albums of similar ferocity (though widened musicality) followed, but they folded in 1986. Even after more than 25 years, listening to it is akin to stumbling into the middle of a bar-room brawl. Though you wouldn't guess it from this outing, Henry Rollins went on to become of the most incisive observers of the period via his book and spoken word CD, Get In The Van.